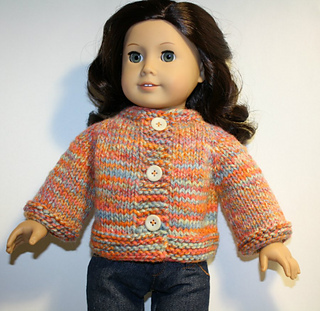 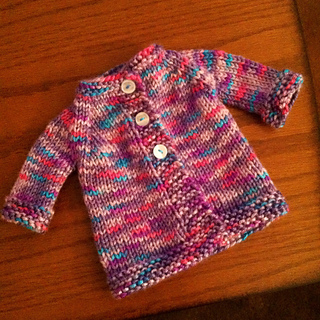 A cute little cardigan and matching hat knit in Mochi Plus for your favorite doll lover. 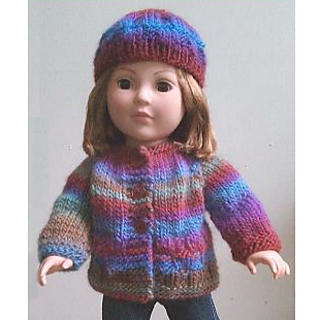 This 18” doll set will fit dolls such as Madame Alexander, American Girl, etc. 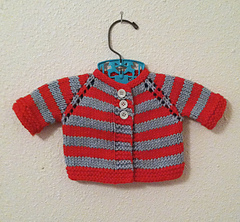 The sweater is knitted from the neck down, requiring sewing only at the sleeve seams. 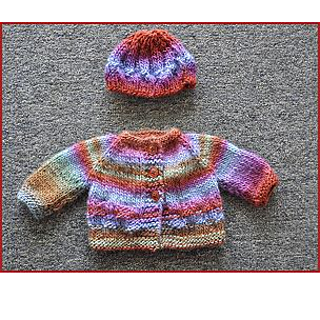 Set includes directions for cardigan and hat. 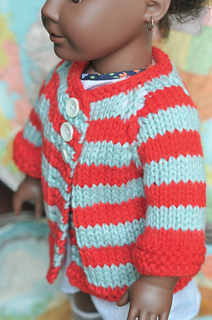 See also Mochi Plus 18” Doll Poncho & Beret set.